Dèesse Magazine: Seeing Plaid (& Leather Too) ! Seeing Plaid (& Leather Too) ! I have been seeing PLAID ever since the Met Gala - that timeless print will forever be in VOGUE (pun intended) & this fall I plain to plaid it out all season. Leather and Plaid is a perfect combo and these haute little finds need to come home to me! These looks are spot on daytime plaid perfection - say that 5x fast. 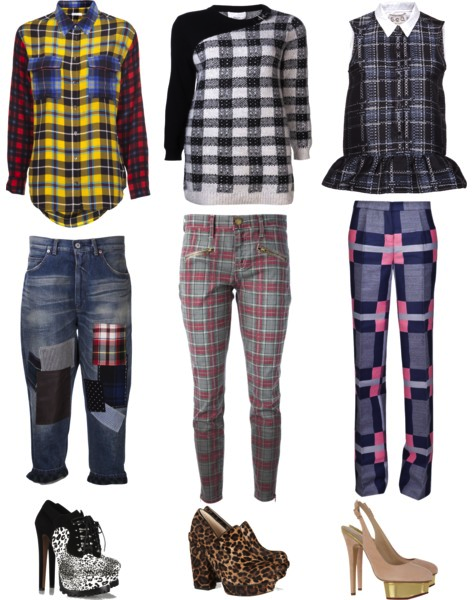 Color blocking was so yesterday- mon petites, it's all about a haute plaid mash up... What prints are you mad for ?